After spawning in the Ottawa River, large numbers of American shads (Alosa sapidissima) migrate downstream towards the ocean. Some of them use the Des Prairies River, located between the Island of Montréal and Laval. 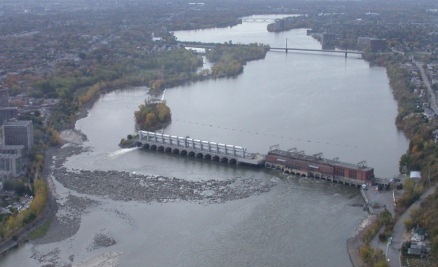 Thoses shads are impeded by the Rivière-des-Prairie dam. 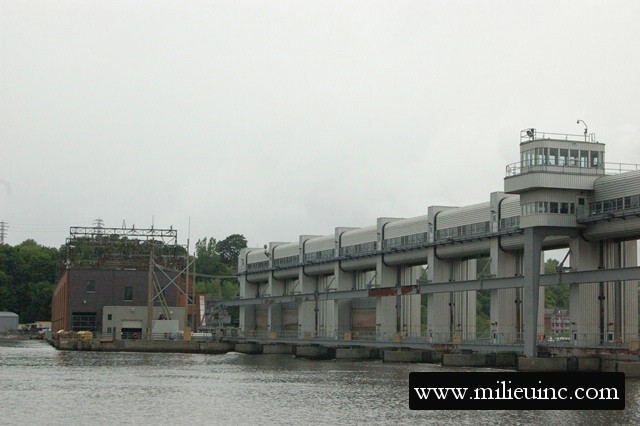 The Rivière-des-Prairies Power Dam is a run-of-river generating station with six groups of turbines-generators and an adjacent spillway comprised of 13 vertical gates. 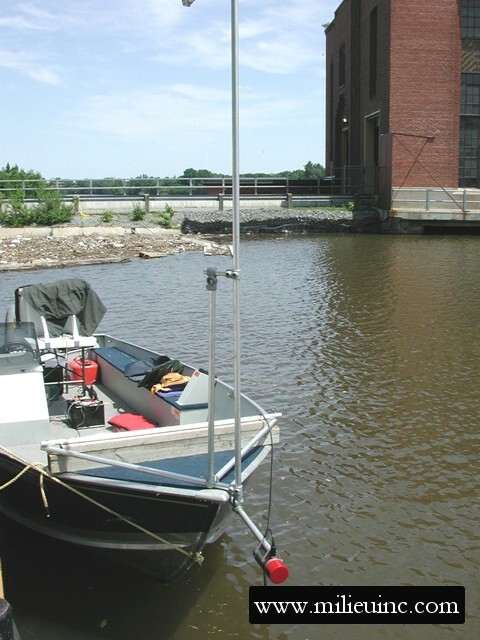 Since 2002, the effect of periodic shutdowns of the generating station with discharges through the spillway gates closest to the station, for a period of about one hour, on the downstream migration of adult American shad (Alosa sapidissima) has been assessed. The cumulative results clearly demonstrate that daily, one hour shutdowns of the Power Dam with discharges through the spillway are efficient to provide safe passage through the spillway for shads gathered in the forebay. 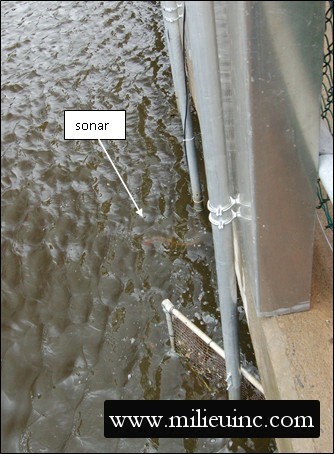 Additionally, a sound barrier is installed on the forebay deck of the Power Station to keep the shads from going through the turbines between the shutdowns. 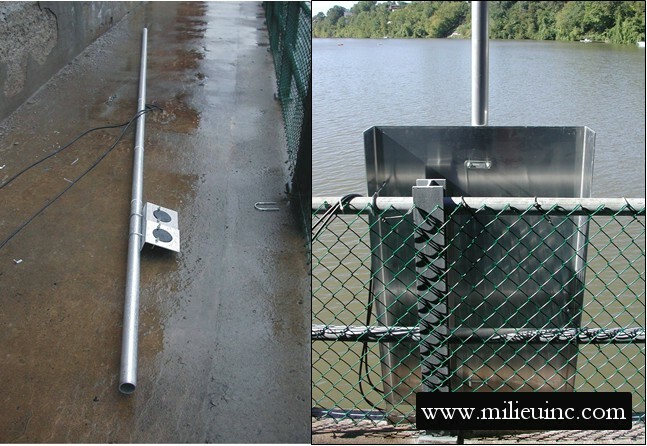 Scanning sonars and MILIEU's proprietary software are used to monitor the fish density in front of the dam and assist managers with the decision-making.